About me: I've always loved animals, but don't have any experience with farm animals. 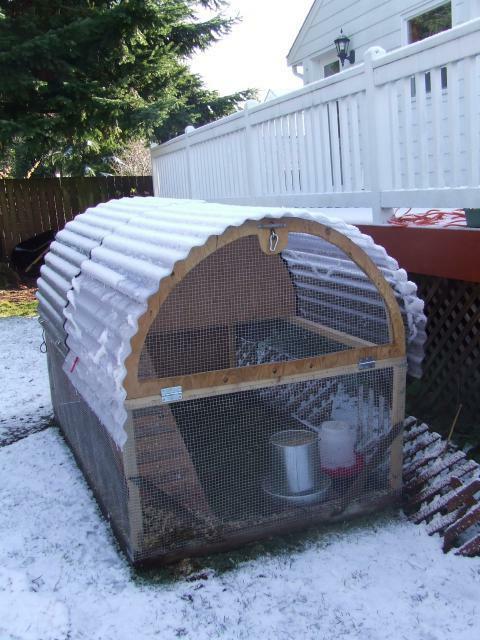 I've wanted chickens for years, especially ones that lay blue or dark brown eggs. After chickens I want a miniature goat for milk and cheese! I got two easter egger hens in the fall of '07, Meter and Tap. On Dec 12, 2007, my two eggs from the local university embryology class hatched! The roo, "Mr. Fluffy", went to a friend's farm and we kept the hen, a tailless white leghorn named Minnie. 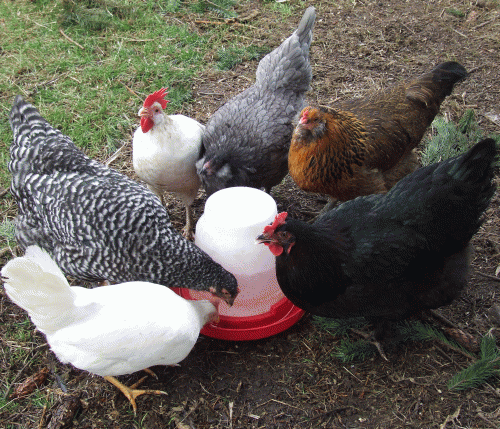 In the summer of '08, we got some chicks: Aria, a blue Ameraucana, and Carmen, a black copper Marans. Meter died, probably of cancer, and was buried in the yard. Then in November, we couldn't resist getting two more pullets from a neighbor: Rockie the barred Plymouth Rock, and Roadie the white Leghorn. 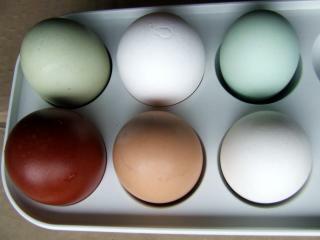 They are all laying now, giving us white, cyan, light olive, pink, and maroon eggs.